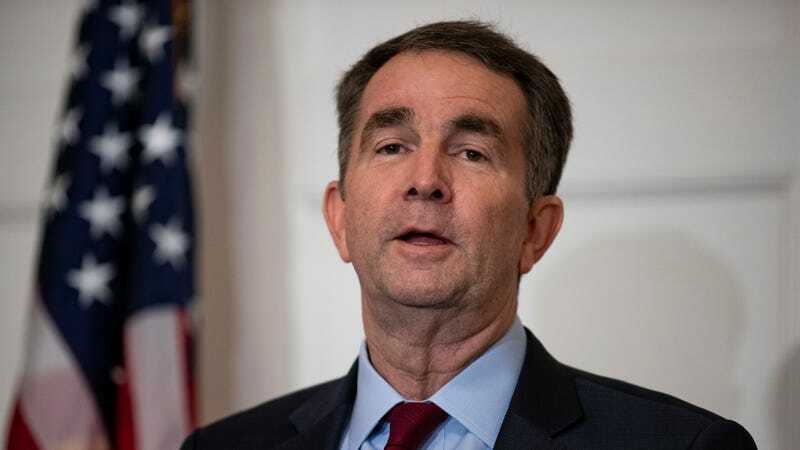 Virginia Governor Ralph Northam—who admitted to being in blackface in a yearbook photo, then changed his mind and said it wasn’t him, then admitted he did do blackface in a Michael Jackson dance contest—recently went on CBS to talk with reporter Gayle King about what he has “learned” in the past few weeks. So what has Northam, who refuses to step down as governor and is a 59-year-old grown man, found out about the world? So many things, according to Northam. GAYLE KING: Did you not know that you were born into white privilege? ﻿GAYLE KING: I know this has been a very difficult week for you in the state of Virginia. So where would you like to begin? GAYLE KING: For many of us watching, it look like you were about to actually demonstrate the moonwalk… Were you thinking about showing off your moonwalking skills? GOV. NORTHAM: No, because I don’t have those at age 59, but I will tell you, Gayle, I regret that. This is a serious moment. And whether it was a nervous laugh or whatever, it was inappropriate. GAYLE KING: So you weren’t thinking about doing it when you looked over at that the floor you were not thinking about doing a walk. GAYLE KING: Many people credit Pam. Pam, your lovely wife for stepping in. GAYLE KING: Another reason to be nicer on Valentine’s Day for you, sir. GOV NORTHAM: Gayle, let me just tell you that as we say, I married way up and I would not be sitting here having this conversation if it wasn’t for my wife of 33 years. ﻿GAYLE KING: And why you think you still deserve this job and so many people are calling for you to step down? GAYLE KING: Because you’re a doctor, yes? GOV. RALPH NORTHAM: —right now, Virginia needs someone that can heal. There’s no better person to do that than a doctor. Virginia also needs someone who is strong, who has empathy, who has courage and who has a moral compass. And that’s why I’m not going anywhere. I have learned from this. I have a lot more to learn. But we’re in a unique opportunity now. Congratulations to Northam for his tremendous growth from white man to white man.